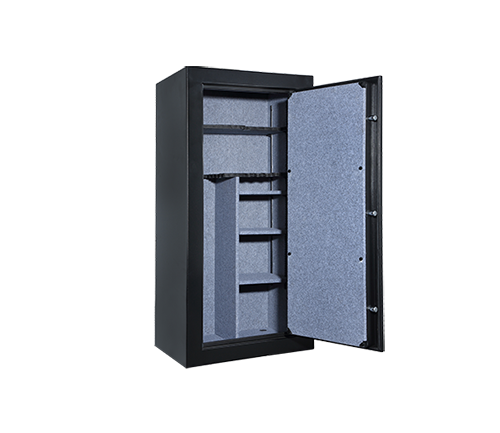 The Inspector Series gun and home safe will hold up to 24 guns with a total of 5 locking bolts (3 active). It has three adjustable, or removable, shelves and one gun rack. 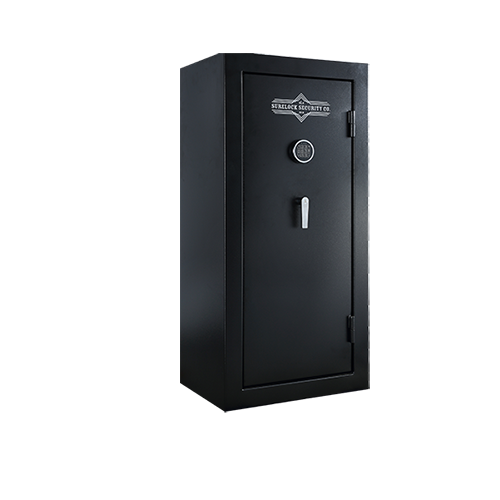 The SureLock Security Company gun and home safes provide maximum security, for all your valuables, at an affordable price. The black rugged exterior includes a Chrome digital lock and L-Shaped handle with a grey interior. Be sure with SureLock, and protect what can’t be replaced. Backed by the SureLock Securities Lifetime Replacement Program, the Inspector Series Gun and Home Safe is the dependable choice to securely protect all your treasured possessions.